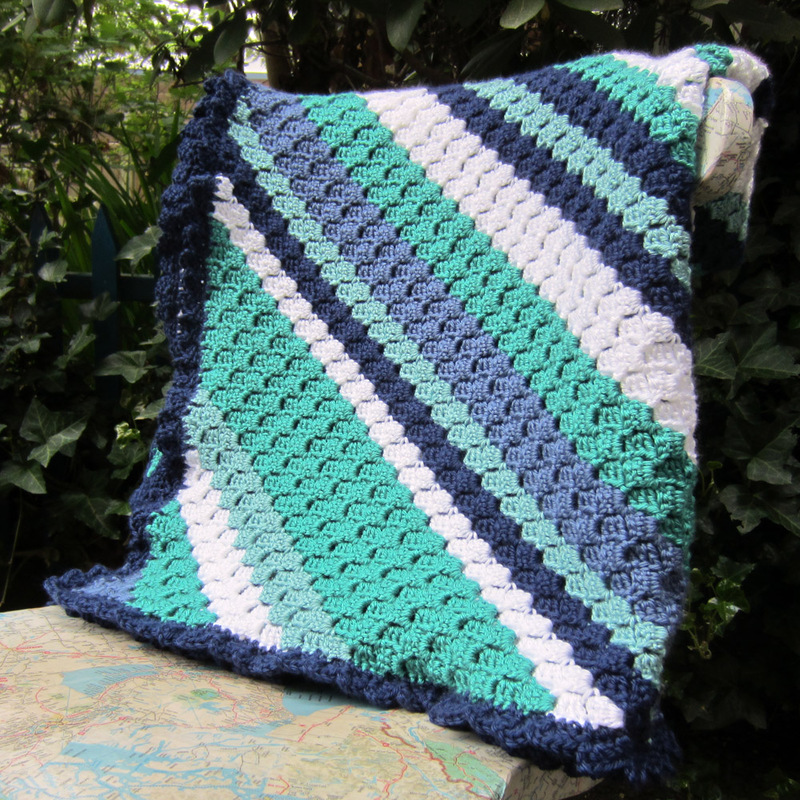 This crochet blanket was created on the diagonal. While in-progress it grew larger and larger, becoming a seemingly immense triangle shaped half square, eventually levelling off to a tidy rectangle. 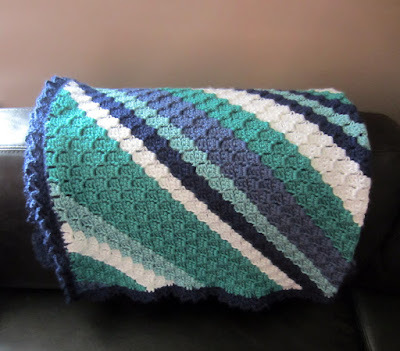 The technique for this blanket is known as Corner to Corner or C2C. 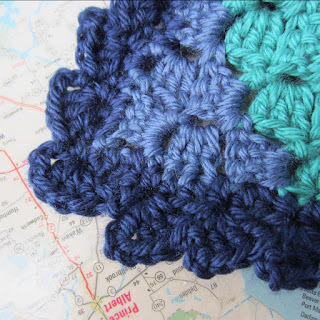 It's a simple easy pattern that is definitely worth a go, even for novice crocheters. 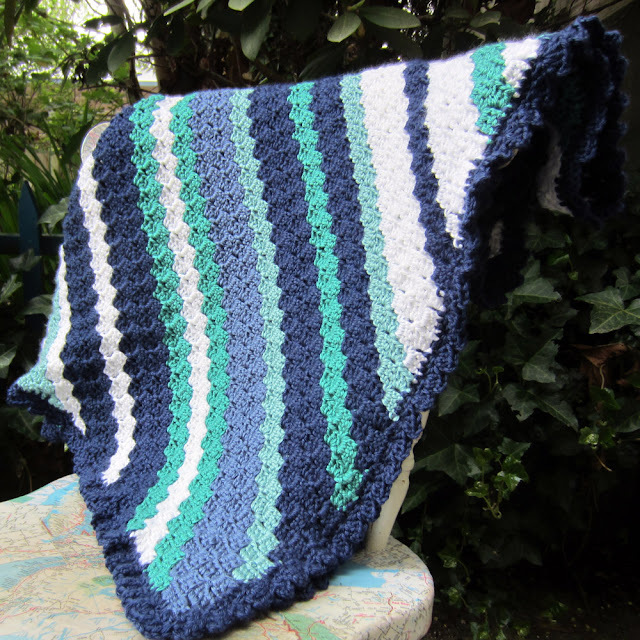 There are several excellent video tutorials to be found online by searching "corner to corner crochet" and "C2C crochet." 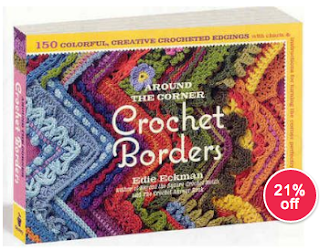 The edging or border was found in Edie Eckman's book Around the Corner Crochet Borders. For this blanket I was attempting to use up a stash of yarn. In the end, said stash was fully used up, but not before a few additional balls (navy, white) were purchased to supplement what was already there. And so it goes. Knitters and Crocheters understand! It's a mid-size throw, about 5 feet long by 4 feet wide, large enough for cozying up on the couch. The stripe pattern varies and is not repeated, making it look very different depending on how it's folded. 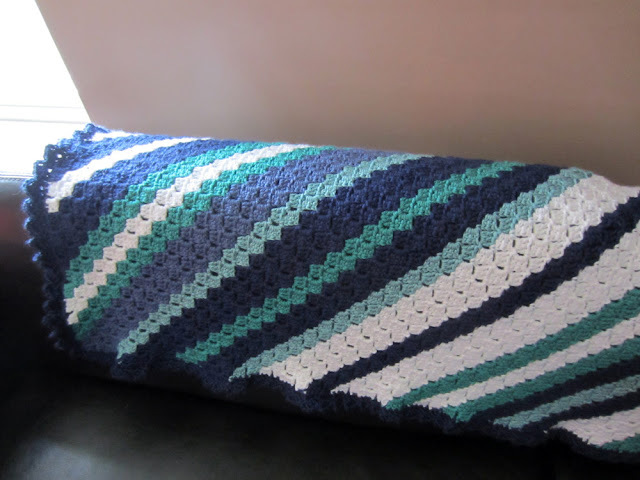 The Corner to Corner crochet method creates it's own plain finished edge but there's always the option of adding a unique design for the border. 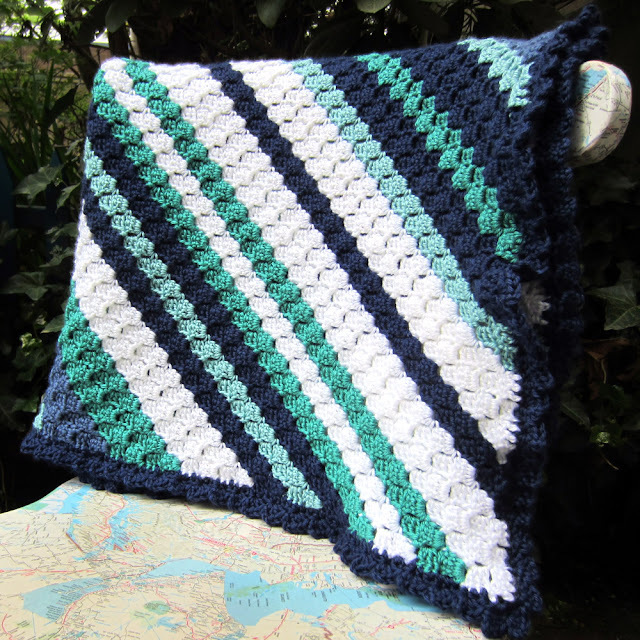 The edging added to this throw is soft and slightly frilly. The border is a square shaped stitch combination that mimics the shape of the C2C stitch. It's border number 25 from the Crochet Border book. Give Corner to Corner at try! It's a perfect non-pattern pattern allowing for endless creativity in design.